We already went over the best Android phones you can buy today, so why not share that same love with the smartwatches, too? This year has seen a ton of new devices for the wrist, even from companies that had not previously launched a smartwatch. Why would they want to get into the smartwatch market? Well, because it’s growing like crazy. According to Allied Market Research, the global smartwatch market is expected to reach nearly $33 billion by 2020, so we can all rest assured new smartwatches won’t go away any time soon. This year saw the sequel to last year’s highly-popular Moto 360, Huawei’s first Android Wear-powered device the Huawei Watch, the luxurious Watch Urbane from LG, a watch from luxury watchmaker TAG Heuer, and Samsung decided to go back to their roots with Tizen in the Gear S2. With all that said, let’s get into the best Android smartwatch you can buy today. 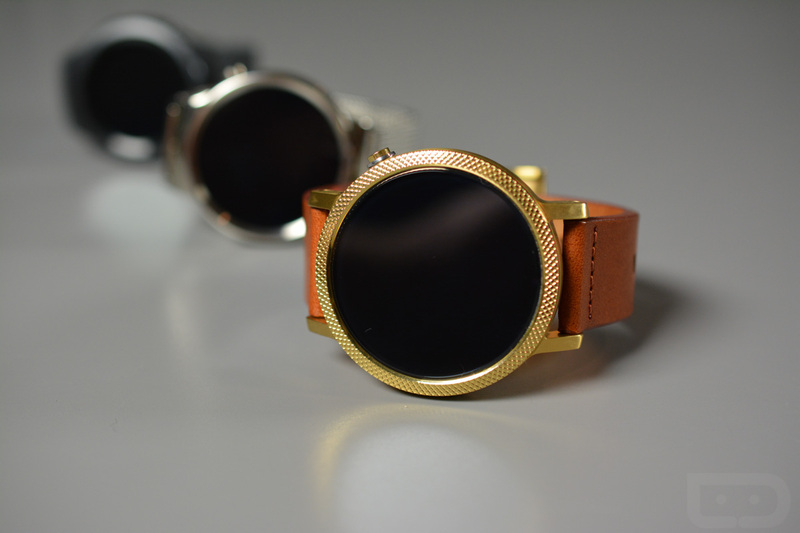 The best Android smartwatch you can buy today is the Moto 360 (2nd Gen). Why? No doubt about it, the Moto 360 (2nd Gen) checks all of the boxes, with its sophisticated looks, updated internals, and customization options available through Moto Maker, all of which can be had for quite an attractive starting price of just $299. Last year’s Moto 360 was a fantastic timepiece, and Motorola certainly did not disappoint with the sequel. Adding in lugs to help with comfort while wearing and increasing battery size, Motorola also upgraded from TI OMAP processors to a more standard Qualcomm-made Snapdragon 400 processor. Through Moto Maker, which is where we suggest anyone interested would buy this device, users can choose between different colors for the body, different materials for the bands from leather to metal, and even choose which type of bezel design they want to have. In addition, Motorola made two sizes available – one for the larger wrists that features a larger display and larger battery, and one with a smaller body, perfect for those with petite wrists, such as myself. Thanks to the updates for Android Wear from Google, the OS is smoother and more feature-rich than ever, only giving more value to those who decide to take a plunge into the smartwatch world. What’s wrong with it, though? The main call-to-arms over the Moto 360 line is the “flat tire.” The bottom part of the display features an ambient light sensor, meaning Motorola can not incorporate a fully circular display into the design. This is a major turn off for some people. However, if folks choose a darker watch face, I find that I don’t even notice it anymore. It’s something you sort of get used to. Also, it allows Motorola to have one of the slimmest bezels you will find on a smartwatch. If the flat tire is a no-go for you, don’t fret, there are other options available. 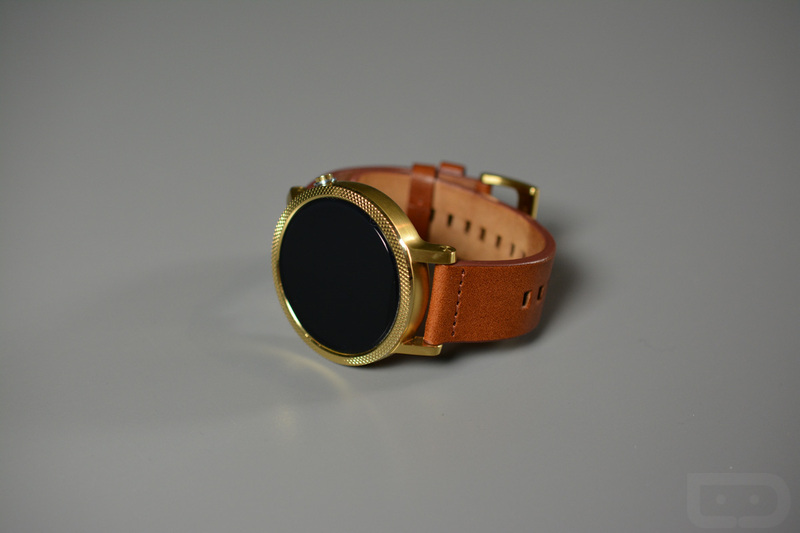 Be sure to read our Moto 360 (2nd Gen) review if you haven’t already. You can buy the Moto 360 (2nd Gen) through Moto Maker or on the Google Store. A really close runner-up is the Huawei Watch. Why? The Huawei Watch, at times, encompasses what a “perfect” smartwatch should be. It features a high resolution fully circular AMOLED display, while combining premium materials with top-tier smartwatch specifications. Huawei focused heavily on creating a timepiece that would remind those of a luxury device, yet also offer the feature-rich experience of a smartwatch. Available in a variety of models, with all sorts of different materials, it is easy for buyers to find one that will match their specific look. The base model, priced at $349, features a Stainless Steel body with Black leather bands. In addition, Huawei built-in 40 custom watch faces for users to choose from, so regardless of where you are going or what you are wearing, there will be a watch face to match your activities. Much like the Moto 360 (2nd Gen), the Huawei Watch also features a Heart Rate monitor and a gang of other sensors for use when you are working out or having a night out on the town. Both watches truly deliver a premium smartwatch experience for Android users. Why is the Moto 360 (2nd Gen) a better option, though? The one key area where Motorola delivers is the price. If you are not looking to spend over $400 on a premium Android Wear device, the Moto 360 allows you to design a fantastic looking device, for relatively cheap when compared to the Huawei Watch. Huawei has a few incredible designs for this device, however, the all-Gold model will cost you $799. I don’t know about you, but spending $799 on a smartwatch that could possibly become obsolete in just a couple of years does not interest me. 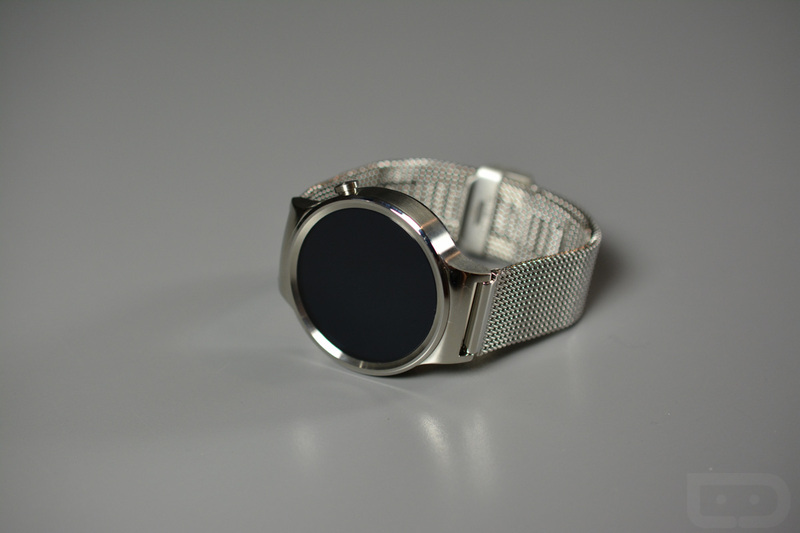 Other models, such as the stainless steel mesh band, costs $399. This is much more affordable, and likely a great option for those looking for an alternative to the Moto 360 (2nd Gen). 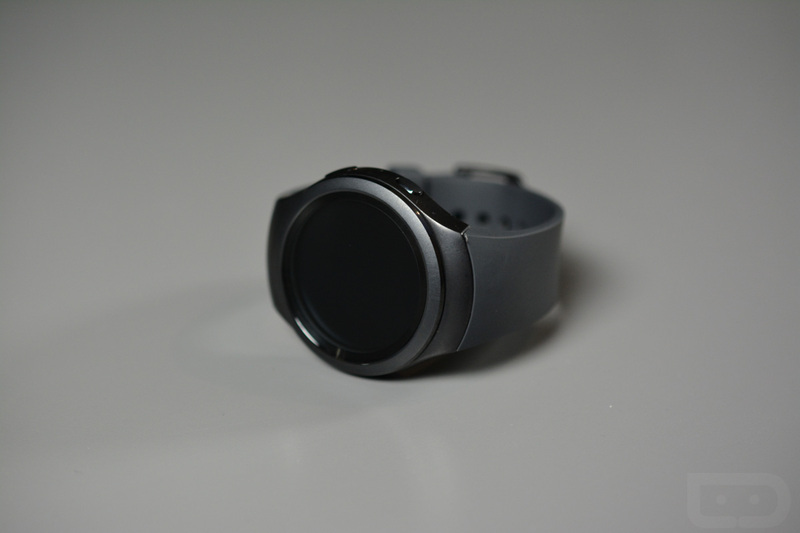 Be sure to read our Huawei Watch review if you haven’t already. You can buy the Huawei Watch from Huawei and on the Google Store. If you can’t stand Android Wear, go with the Samsung Gear S2. Why? Since this watch doesn’t run Android Wear, you get a completely different software experience than you will find on the Moto 360 and Huawei Watch. Not that Android Wear is bad, but some may just prefer something else. The Gear S2 offers that. The whole experience here comes off as a more robust UI that features a horizontal panel approach that can be customized through apps. Android Wear tends to be about glanceable info, whereas the Gear S2 wants to give you a fully customized, app-centric watch experience along with the notifications. Outside of the different UI, this watch also features this awesome rotating bezel for navigating the watch. This is one of those features that we hope others adopt in future watches, because it’s a true joy to use. The Gear S2 comes in two models, one with a minimal, modern aesthetic (pictured above), plus another (Gear S2 Classic) that appears more like a traditional timepiece. Both watches are a manageable size at around 42mm and 40mm, with price tags of $299 and $349, respectively. Why doesn’t it top either of those other two? Since Samsung has built the watch around Tizen for an operating system instead of Android Wear, the Gear S2 is sorely lacking in the app department. The two Android Wear watches we mentioned have deep app ecosystems, where you won’t struggle to find companion apps from your favorites available. With the Gear S2, you are stuck with a handful of apps from companies Samsung has partnered with. And since we aren’t sure if either of the Gear S2 watches will be a hit, it’s tough to tell if the app selection will ever improve. Our full review of the Gear S2 will arrive soon. Until then, you can buy it today from Amazon.